Willian Klein was born in New York in 1928. An international jury at Photokina 1963 voted William Klein one of the 30 most important photographers in the medium’s history. 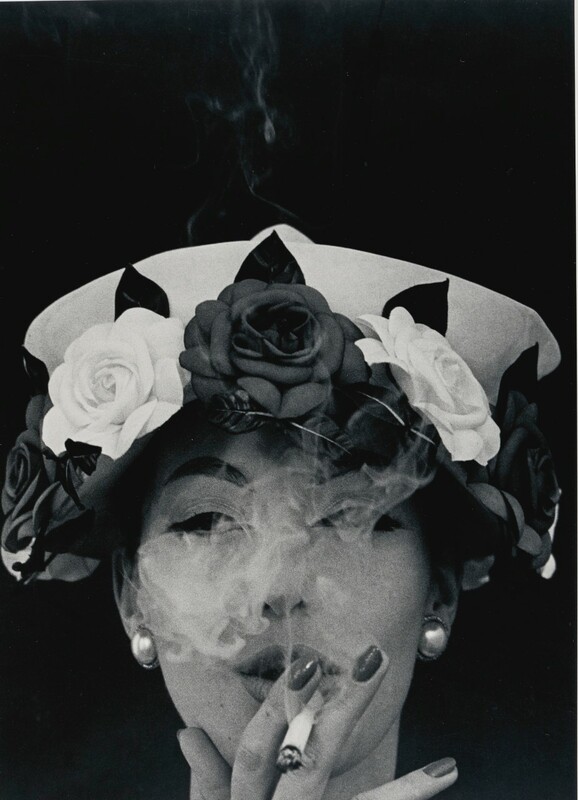 He became famous in Europe immediately upon publication of his strikingly intense book of photographs, Life Is Good for You in New York – William Klein Trance Witness Revels, for which he won the Prix Nadar in 1956. Klein’s visual language made an asset out of accident, graininess, blur, and distortion. He has described his work as “a crash course in what was not to be done in photography.” Klein employed a wide-angle lens, fast film, and novel framing and printing procedures to make images in a fragmented, anarchic mode that emphasized raw immediacy and highlighted the photographer’s presence in the scene. Among Klein’s other books (for which he did the design, typography, covers, and texts) are expressive portraits of Rome, Moscow, and Tokyo. His influence upon other photographers since the late 1950s has been underground but pervasive. Born and raised in New York, Klein graduated from high school at age 14 and subsequently studied sociology at City College of the City of New York. After two years in the United States Army, where he worked as an army newspaper cartoonist, he attended the Sorbonne, Paris, on the G. I. Bill. He studied painting briefly with Fernand Léger and has lived in Paris since 1948, working as a painter, graphic designer, photographer, and filmmaker. Klein exhibited throughout Europe as a painter, producing abstract murals for French and Italian architects. He first photographed his murals in motion in 1952 and began experimenting with the medium. He was very much influenced at this time by thework of Man Ray, Alexander Rodchenko, the Dadaists, and the Bauhaus. Klein revisited New York in 1954 and began his documentation of the city, hurling himself into the urban chaos. He worked in direct opposition to the model of elegance and discretion he saw in the images of Henri Cartier-Bresson. From 1955to 1965, Klein produced bizarrely original fashion photography for Vogue and other publications. His employer at Vogue, Alexander Liberman, wrote, “In the fashion pictures of the fifties, nothing like Klein had happened before. He went to extremes, which took a combination of great ego and courage. He pioneered the telephoto and wide-angle lenses, giving us a new perspective. He took fashion out of the studio and into the streets. Klein first took up filmmaking in 1958. In 1965, he abandoned still photography to concentrate on films for the cinema and television. His best known works in this medium are Cassius the Great (a film on Muhammad Ali) and Loin du Vietnam, on which he collaborated with directors Alain Resnais, Jean-Luc Godard, and others. He has completed over 20 films in the last 25 years. Klein has exhibited throughout the world at Fuji Gallery, Tokyo; Stedelijk Museum,Amsterdam; Photokina, Cologne; and The International Center of Photography and the Witkin Gallery, New York. He was honored in 1978 at the Arles Festival International. An exhibition of his early work was held at the Museum of Modern Art, New York, in 1980-1981, at which time John Szarkowski wrote: “Klein’s photographs of twenty years ago were perhaps the most uncompromising of their time. They were the boldest and superficially the most scrofulous – the most distanced from the accepted standards of formal quality …. They really extend what life can look like in pictures. They enlarge the vocabulary.”Klein was the subject of an Aperture monograph in 1981. He has been awarded the Prix Nadar in 1957, the Royal Photographic Society’s Centenary Medal and Honorary Fellowship (HonFRPS) in 1999, and the Outstanding Contribution to Photography Award at the Sony World Photography Awards in 2012.